Morning coffee with a friend. 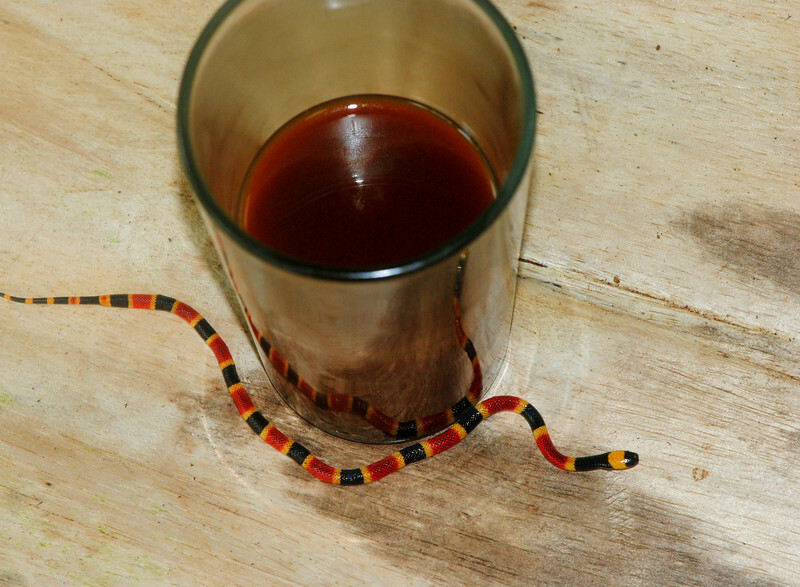 A very young Central American Coral Snake (Micrurus nigrocinctus "mosquitensis"). These snakes possess a very potent neurotoxin that is used to quickly immobilize their prey, which consists primarily of other snakes, with a side dish of caecilians, eels, and other elongated animals.